Addressing a rally in Haryana's Yamunanagar, Gandhi claimed Prime Minister Narendra Modi waived loans worth Rs 3.5 lakh crore of 15 industrialists. 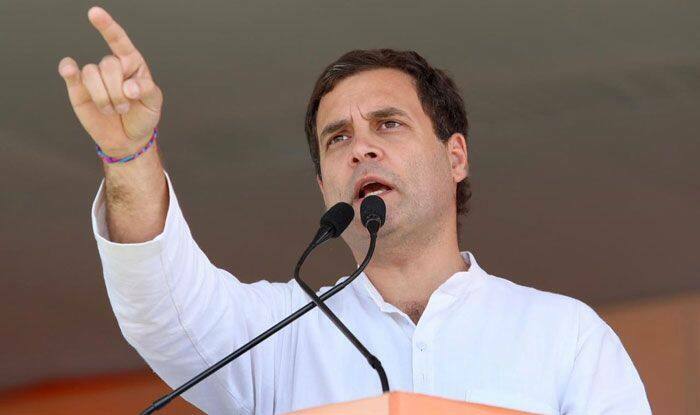 Congress president Rahul Gandhi on Friday launched a sharp attack on Prime Minister Narendra Modi, saying he protects the rich while his own party bats for the poor, the weaker sections and the farmers. “The 2019 polls are a fight between two ideologies. On one hand are the BJP, the RSS and Narendra Modi and on the other is the Congress,” he said. Gandhi is on a day’s visit to Haryana to be part of Congress state unit’s ongoing Parivartan Yatra. He was scheduled to address a series of meetings. “During the past five years, Modi has made several promises to the people of this country. Wherever he goes, he spreads hatred. He promised to put Rs 15 lakh into every Indian’s bank account. Did anyone get anything?” Gandhi said at a public meeting in Yamunanagar district’s Jagadhri town.